Debido a restricciones por parte del fabricante no podemos enviarle este artículo. Sidas products to the European Union. 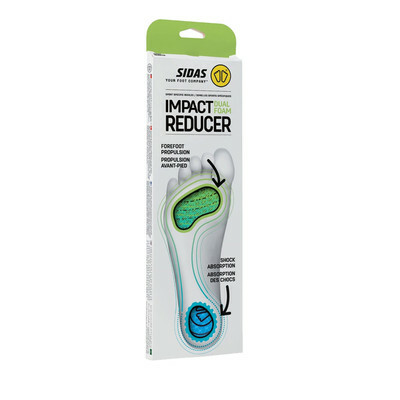 Give your feet the protection and boost that they deserve with the Sidas Impact Reducer Dual Foam. Divided into two sections, the Impact Reducer Dual Foam has different consistencies under the rearfoot and the forefoot, providing you with comfortable benefits. 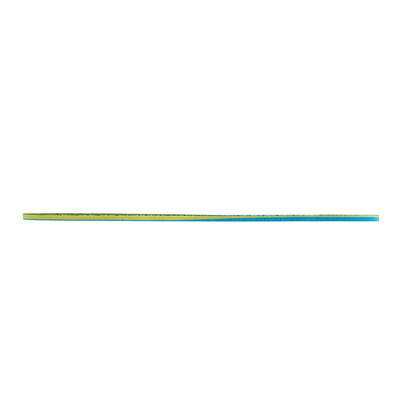 Beneath the rearfoot, the material is viscolatex, which will mean that all shocks will be absorbed instantly and effectively. Further forward and underneath the forefoot, the material is made from rubber foam. This will be especially beneficial to you during activity as it will boost propulsion. You will feel an added spring in your step as a result of this. 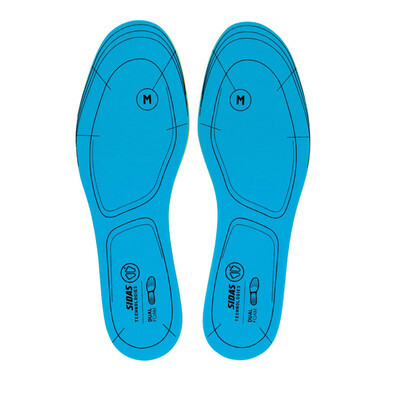 The slim design of the insole will allow you to use them underneath existing insoles, which will improve your comfort and protection. In addition to reducing the shocks felt on each step, the insole will also be extremely effective in preventing joint pain from occurring. 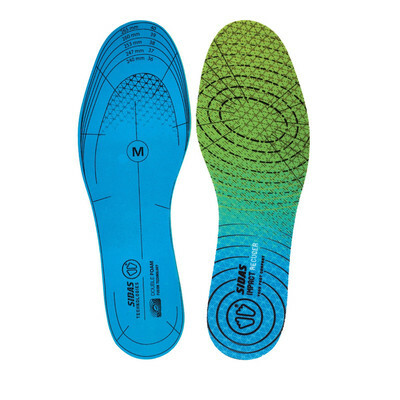 The surface of the insole has a merrymesh topcover which will increase comfort as well as preventing the foot from slipping inside the shoe. Viscolatex Rearfoot - All shocks are absorbed instantly and effectively. Rubber Foam Forefoot - Boosts propulsion in every step. 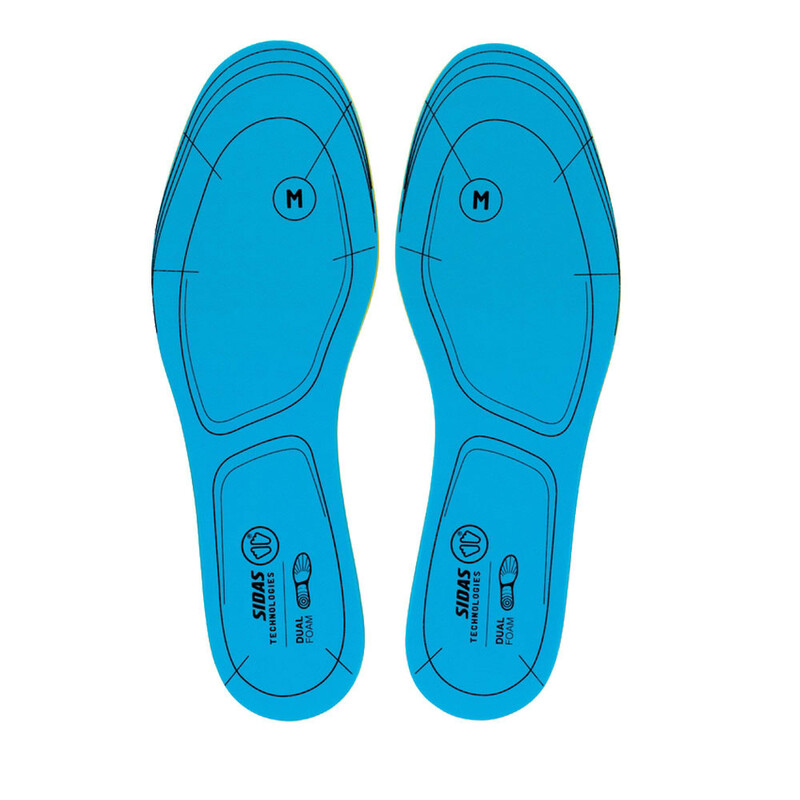 Slim Design - The extremely thin insole can be used underneath existing insoles. Joint Protection - Will prevent joint pain from occurring. 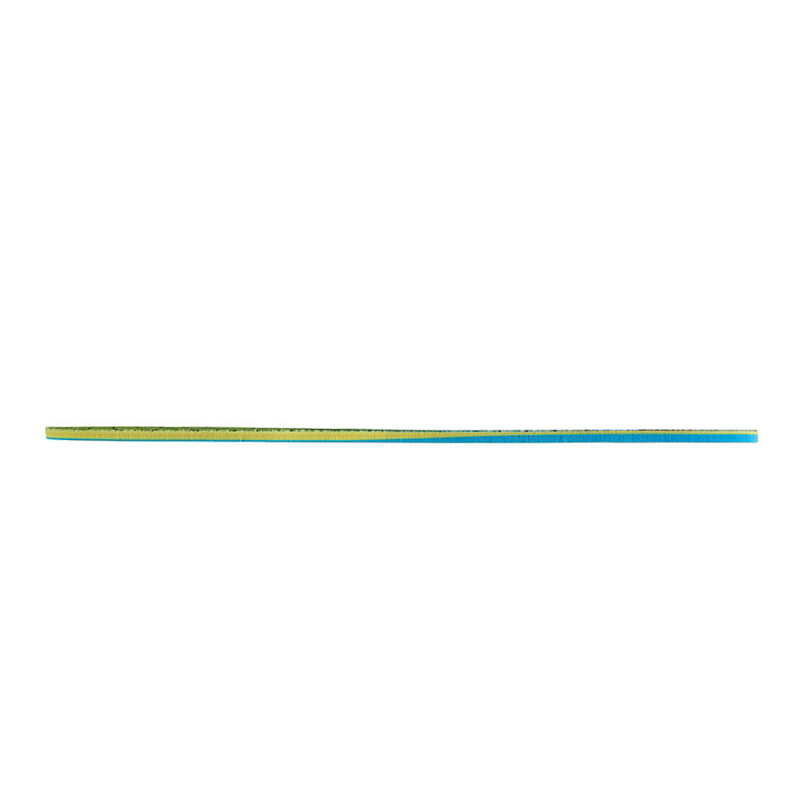 Merrymesh Topcover - Increases comfort and reduces the risk of slipping within the insoles.